It is clear that for an efficient detection of γrays, a material with a high density and high effective Z (number of protons per atom) is required (see above). Inorganic scintillation crystals meet the requirements of stopping power and optical transparency, their densities ranging from roughly 3 to 9 g/cm3 makes them very suitable to absorb penetrating radiation (γ-rays). Materials with high Z-values are used for γ-ray spectroscopy at high energies (> 1 MeV). Since photoelectron statistics (or electron-hole pair statistics) plays a key role in the accurate determination of the energy of the radiation, the use of scintillation materials with a high light output is preferred for all spectroscopic applications. 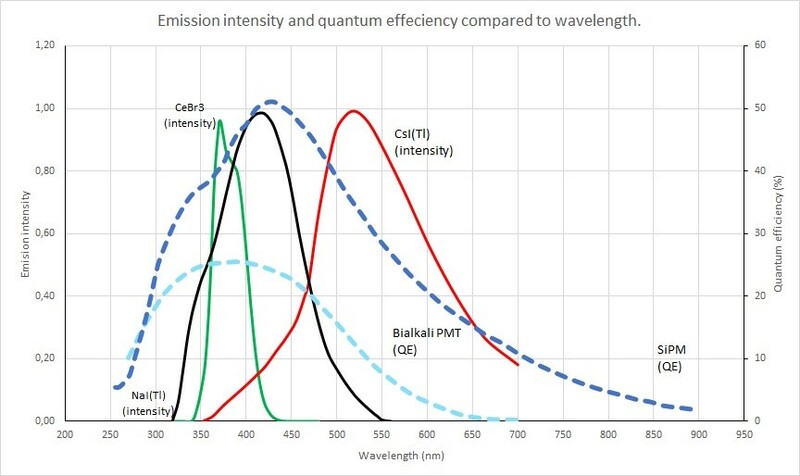 The scintillator emission wavelength should be matched to the sensitivity of the light detection device that is used (PM, SiPm or photodiode). Scintillation light pulses (flashes) are usually characterized by a fast increase of the intensity in time (pulse rise time) followed by an exponential decrease. The decay time of a scintillator is defined by the time after which the intensity of the light pulse has returned to 1/e of its maximum value. Most scintillators are characterized by more than one decay time and usually, the effective average decay time is mentioned. The decay time is of importance for fast counting and / or timing applications. The most widely used scintillation material for gamma-ray spectroscopy NaI(Tl) is hygroscopic and is only used in hermetically sealed metal containers to preserve its properties. All water soluble scintillation materials should be packaged in such a way that they are not attacked by moisture. Some scintillation crystals may easily crack or cleave under mechanical pressure whereas others are plastic and only will deform like CsI(Tl). In table 3.1 below, the most important aspects of commonly used scintillation materials are listed. The list is not extensive and new materials are developed regularly. (1) Effective average decay time for γ-rays. tube with a bi-alkali photocathode. Each scintillation crystal has its own specific application. For high resolution γray spectroscopy, NaI(Tl), or CeBr3 (high light output) are often used. For high energy physics applications, the use of bismuth germanate Bi4Ge3O12 (BGO) crystals (high density and Z) or Lead Tungstate (PbWO4) improves the lateral confinement of the shower. For the detection of β-particles, CaF2(Eu) or YAP:Ce can be used instead of plastic scintillators (higher density). CdWO4 Very high density, low afterglow. Slow decay times Particle physics, geophysical research PET, anti- Compton spectrometers. Plastics Fast, low density and Z high light output Physics research (calorimetry). General counting, particle and neutron detection. 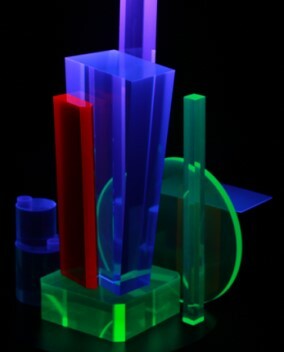 NaI(Tl) scintillation crystals are used in a great number of standard applications for detection of γ-radiation because of their high light output and the excellent match of the emission spectrum to the sensitivity of photomultiplier tubes, resulting in a good energy resolution. In addition NaI(Tl) is a relatively inexpensive scintillator. NaI(Tl) crystals show a distinct non proportionality (see below) which results in a limitation of the energy resolution at 662 keV to about 6% FWHM, NaI(Tl) crystals can be grown to large dimensions (400 mm diameter) in ingots of many hundreds of kg. The material can be cut in a great variety of sizes and shapes and cleaved in small diameters. CsI(Tl) has the advantage that it not really hygroscopic (its surface however is influenced by humidity on the long term),and does not cleave or crack under stress. It is a relatively bright scintillator but its emission is located above 500 nm where PMTs are not that sensitive. However due to this property it can effectively be read out by silicon photodiodes or SiPms. Thanks to its different decay times for charged particles having a different ionizing power, CsI(Tl) crystals are frequently used in arrays or matrices in particle physics research. CsI(Na) is a hygroscopic high light output rugged scintillator Like CsI(Tl) mainly used for applications where mechanical stability and good energy resolution are required. Below 120 oC it is an alternative to NaI(Tl). CsI(Na) has its emission peaking at 400 nm like NaI(Tl). Undoped (pure) CsI is an intrinsic scintillator with same density and Z as CsI(Na). It has en emission at approx. 300 nm and since it intensity is strongly thermally quenched at room temperature it is relatively fast (ns decay time). There is a slow component present in this crystal that makes up at least 10% of the total light yield. The emission spectra below show how the emission spectrum of a scintillator can be influenced by its type of activation. CaF2(Eu) , Europium doped calcium fluoride is a rather old low density scintillation crystal . Thanks to its low Z value it is well suited for the detection of electrons (beta particles) with a high efficiency (low backscatter fraction). CaF2(Eu) is a relatively slow scintillator that is not hygroscopic and inert to many chemicals. It is brittle and cleaves relatively easy. The total Q-value of the alpha and the triton is 4.78 MeV. The resulting thermal neutron peak can be found at a Gamma Equivalent Energy larger than 3 MeV. This allows to separate neutron interactions from gamma events (< 2.6 MeV). 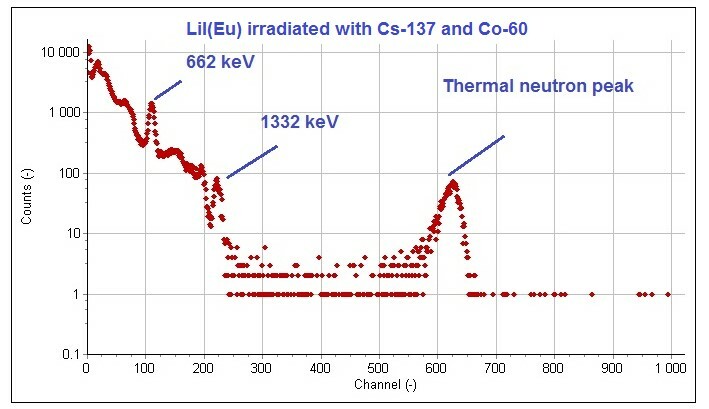 Since the typical absorption length (90%) of thermal neutrons in 6-LiI(Eu) crystals is only 3 mm the efficiency for gamma rays can be made small. LiI(Eu) crystals are grown up to 25 mm in diameter. 6-Li glass scintillators offer the same possibility as 6LiI(Eu) crystals to detect thermal neutrons. However, The light output is much lower than of LiI(Eu) scintillators and therefore the neutron peaks are relative broad. 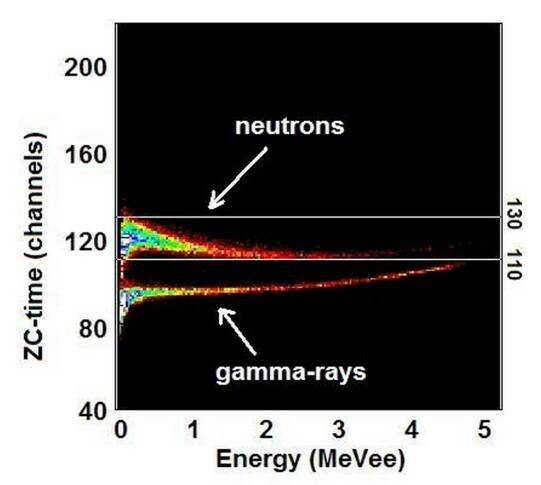 In addition the scintillation efficiency for the resulting particles is low so that the neutron peak appears at a location of approximately 1.6 MeV in the gamma energy spectrum. 90% of thermal neutrons are absorbed in only1 mm of material. All 6-Li containing scintillators can also be used for the detection of fast neutrons but the efficiency of the nuclear reaction is smaller. Further details on neutron detection can be found in the application note “neutron detection with scintillators”. Barium Fluoride (BaF2) is a non-hygroscopic scintillator with a very fast decay component located at 220 nm. 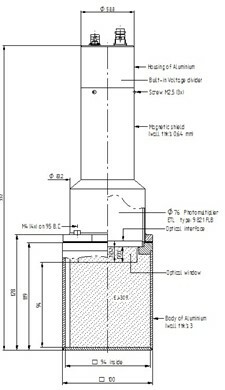 To detect this component, light detectors with quartz windows are used. Barium fluoride detectors allow fast sub-nanosecond timing for example for positron life time measurements. It is a weak scintillator with a modest energy resolution at 662 keV (typically about 10-12 % FWHM @ 662 keV. 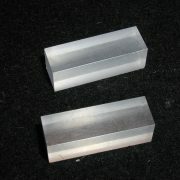 BGO (Bi4Ge3O12) has the extreme high density of 7.13 g/cm3 and has a high Z value which makes these crystals very suited for the detection of natural radioactivity (U, Th, K), for high energy physics applications (high photo fraction) or in compact Compton suppression spectrometers. Since the light output of BGO is modest, the energy resolution is inferior to that of the the standard alkali halides like NaI(Tl) or CsI(Tl). YAP:Ce (YAlO3:Ce) is a high density (5.5 g/cm3) oxide crystal with a decay time about 10 times shorter than NaI(Tl) (23 ns) It is used in detectors for high count rate (up to several MHz) The non-hygroscopic nature of this material allows the use of thin mylar entrance windows. YAP:Ce can withstand gamma doses up to 104 Gray. Currently there is an increased better understanding of the properties of scintillators and what determines their intrinsic energy resolution. 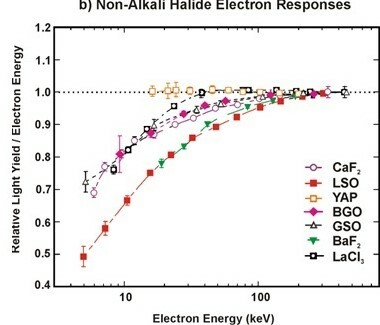 A number of materials have been developed that exhibits a more proportional response to gamma rays than the classic alkali halides (NaI(Tl), CsI(Tl) etc). This has resulted in the availability of a class of proportional scintillators. New materials are being developed constantly and the list below is not extensive. Proportional scintillators only offer their superior performance in energy resolution when the light detection is optimized by covering the largest possible area with light detector (PMT or SiPm). 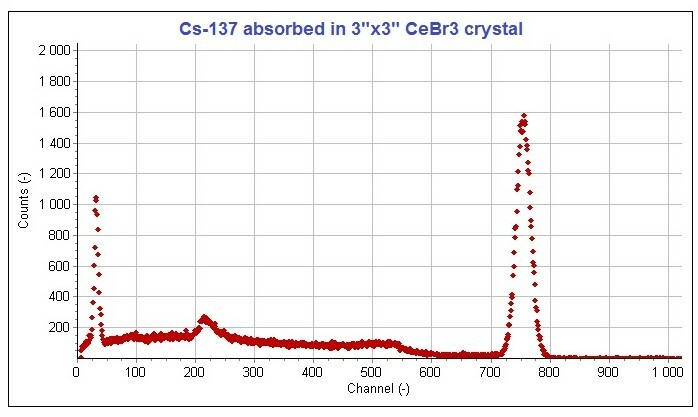 CeBr3 (Cerium Bromide) scintillators are characterized by a relatively high density and Z and a proportional response to gamma rays. Typical energy resolutions are 4% FWHM for 662 keV. The material exhibits a fast decay of typical 20 ns (for 51 mm crystals) with a negligible afterglow. CeBr3 is highly hygroscopic and provides the best performance when integrally coupled to PMTs. Thanks to its fast light pulse rise time, CeBr3 detectors can provide sub nanosecond time resolutions, slightly worse than BaF2 detectors. 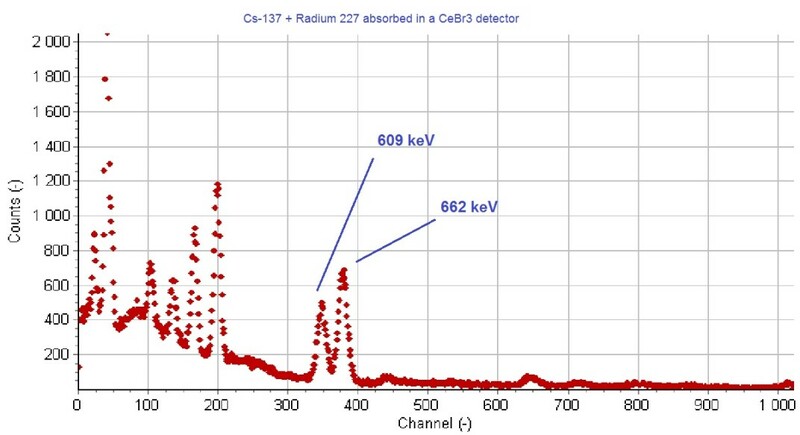 With CeBr3 scintillators the 609 and 662 keV gamma lines from respectively radium and Cs-137 can easily be separated. Cs2LiYCl6:Ce (CLYC) scintillation crystals offer a reasonable density of 3.3 g/cc. 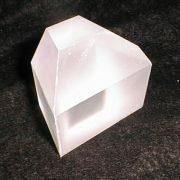 This proportional crystal offers an energy resolution of 4.5 – 5 % FWHM for 662 keV gamma rays. 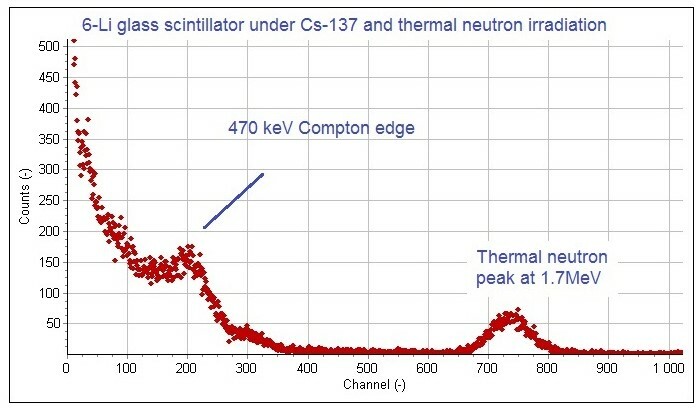 The thermal neutron peak due to the n-6Li reaction produces a narrow peak at approximately 3.3 MeV. Its fast scintillation component is not excited by neutrons which opens PSD capabilities or further improve the neutron/gamma separation. CLYC has some slower emission components so larger signal shaping times are required. To absorb 90% of thermal neutron 12.5 mm of crystal is needed. Cesium Lanthanum Lithium BromoChloride) CLLBC , Cs2LiLaBr4.8Cl1.2:Ce scintillators have properties to the well-known LaBr3:Ce crystals. Energy resolutions around 3 % FWHM (662 keV) are standard. In addition, thanks to the presence of Lithium, the material can be used for neutron detection with a sharp thermal neutron peak between 3.1- 3.2 MeV. In addition, CLLBC offers excellent neutron / gamma discrimination using PSD. SrI2(Eu), Europium doped strontium iodide Is a very bright relatively slow scintillator with a very good proportionality. Typical energy resolutions are 3.5% @ 662 keV and 6% @ 122 keV. The material is quite radiopure. Due to its intrinsic self-absorption (small stokes shift), the crystal requires some special surface preparation techniques. The long decay time requires very long (digital) shaping time constants (> 10 µs) which complicates high count rate behavior. The self-absorption limits the maximum size of the crystal to approx. 4 cm. Organic scintillators (also called “plastic scintillators”) consist of a transparent host material (a plastic) doped with a scintillating organic molecule (e.g. POPOP : pbis [2(5phenyloxazolyl)] benzene). Radiation is absorbed by the host material, mostly via Compton effect because of the low density and Z value of organic materials. Therefore, plastic scintillators are mostly used for the either detection of β and other particles or when very large volumes are needed since their material cost is relatively low. Plastic scintillators are mainly used when large detector volumes are required e.g. in security or health physics applications. The cost of plastic scintillation detectors (per volume) is much smaller than that of e.g. NaI(Tl) detectors; plastic scintillators can be manufactured in several meter long slabs. 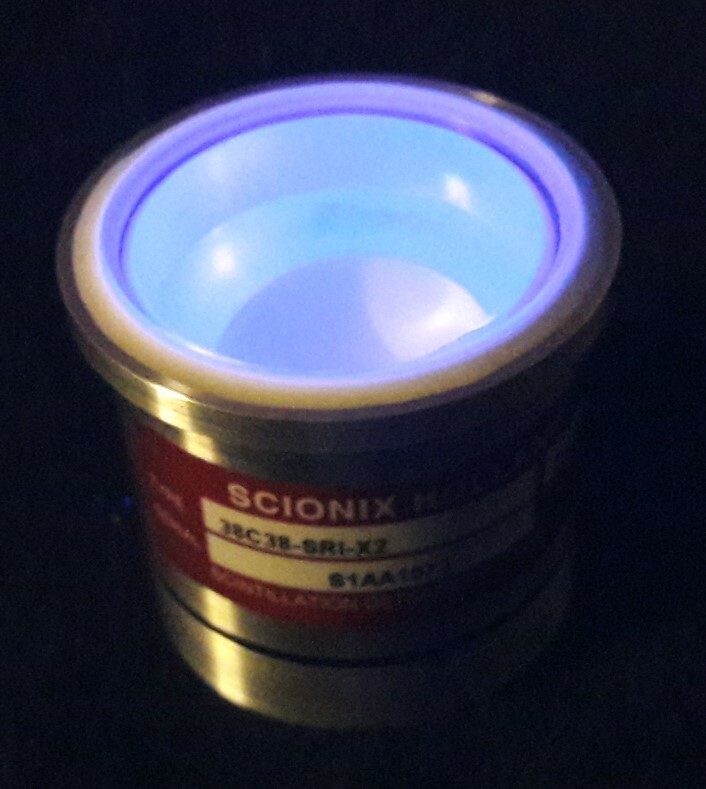 There exists a large number of different organic scintillators each with specific properties, the materials listed on the SCIONIX web site here are a direct copy of the ELJEN website . SCIONIX is the European representative of ELJEN Technology. 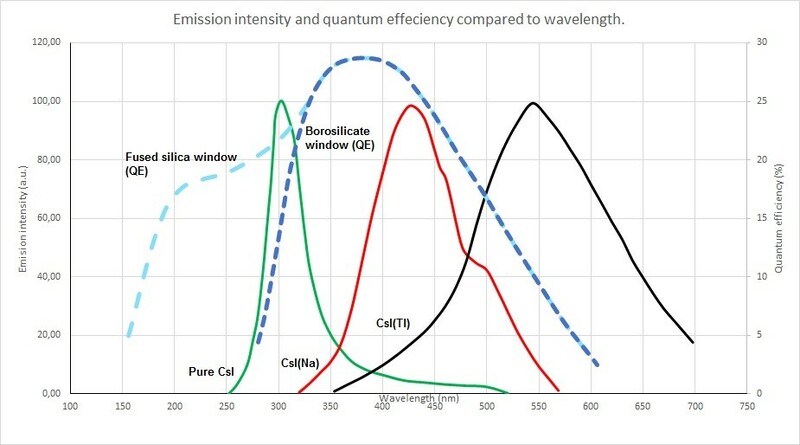 Organic scintillators can be doped with specific atoms like 6-Lithium (EJ-270) or Boron (EJ254) to make them neutron sensitive or with Pb (EJ-256) to improve the response at lower energies (tissue equivalent). This influences the scintillation properties. Also, plastic scintillators exist that can be used to discriminate gammas from fast neutrons via pulse shape analysis which is used in physics research and in some security applications. An example is EJ-276 (successor of EJ-299-33). See the datasheet on these materials. Also doped liquids are used as scintillators. Some liquid scintillators like EJ301 or EJ309 offer fast neutron/ gamma discrimination properties based on their scintillation pulse shape. Using proper electronic techniques (digitizers), neutron pulses can be discriminated from gammas. Liquid scintillation detectors need provisions to allow expansion of the liquids under temperature variations. For further information see the technical datasheet of liquid scintillators. To detect fast changes in transmitted intensity of Xray beams, as e.g. in CT scanners or luggage X-ray detectors, crystals are required exhibiting low afterglow. Afterglow is defined as the fraction of scintillation light still present for a certain time after the Xray excitation stops. Afterglow originates from the presence of millisecond to even hour long decay time components. Afterglow in most halide scintillation crystals can be as high as a 5-10 percent after 3 ms. The long duration afterglow in e.g. CsI(Tl) can be a problem for many applications. 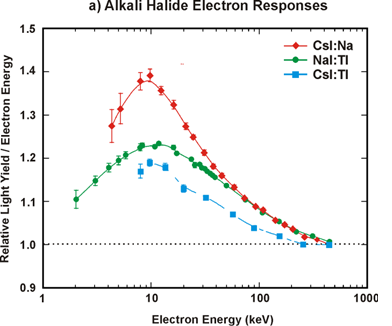 Afterglow in halides is believed to be intrinsic and correlated to certain lattice defects. BGO, CeBr3 and Cadmium Tungstate (CdWO4) crystals are examples of low afterglow scintillation materials. Neutrons do not produce ionization directly in scintillation crystals, but can be detected through their interaction with the nuclei of a suitable element. In a 6LiI(Eu) scintillation crystal for example, neutrons interact with 6Li nuclei to produce an alpha particle and a triton (tritium nucleus), which both produce scintillation light that can be detected. Another Li containing scintillator is the above mentioned CLYC or CLLBC. Also enriched 6Li containing glasses can be used, doped with Ce as activator. Alternatively, Boron or Gadolinium containing inorganic scintillators can be used but these scintillators are not common. Al alternative technique to construct large area thermal neutron detectors is via 6LiF/ZnS(Ag)screens called EJ-426, read out via green wavelength shifters by PMTs or SiPms. Radiation damage is defined as the change in scintillation characteristics caused by prolonged exposure to intense radiation. This damage manifests itself by a decrease of the optical transmission of a crystal which causes a decrease in pulse height and deterioration of the energy resolution of the detector. Radiation damage other than radioactivation is usually partially reversible; i.e. the absorption bands often disappear slowly in time; some damage can be annealed thermally. Each scintillation material has a characteristic emission spectrum. The shape of this emission spectrum is sometimes dependent on the type of excitation (photons / particles). Emission spectra of NaI(Tl), CsI(Tl) and CeBr3, scaled on maximum emission intensity. Also a typical quantum efficiency curve of a bialkali photocathode and a Silicon Photomultiplier (SiPm) is shown. This emission spectrum is of importance when choosing the optimum readout device (PMT / photodiode/SiPm) and the required window material. The graph shows the emission spectrum of some common scintillation materials. The light output (number of photons per MeV gamma) of most scintillators is a function of temperature. This is caused by the fact that in scintillation crystals, radiative transitions, responsible for the production of scintillation light, compete with nonradiative transitions (no light production). In most scintillation crystals, the light output is quenched (decreased) at higher temperatures. An example of the contrary is the fast component of BaF2 of which the emission intensity is essentially temperature independent. The scintillation process usually involves as well production, transport and quenching centers. Competition between these three processes each behaving differently with temperature, causes a complex temperature dependence of the scintillation light output. Below the temperature dependence of some common scintillation crystals is shown. For most applications, the combination of the temperature dependent light output of the scintillator together with the temperature dependent amplification of the light detector should be considered. The doped scintillators NaI(Tl), CsI(Tl) and CsI(Na) show a distinct maximum in intensity whereas many undoped scintillators such as BGO show an increase in intensity with decreasing temperature. 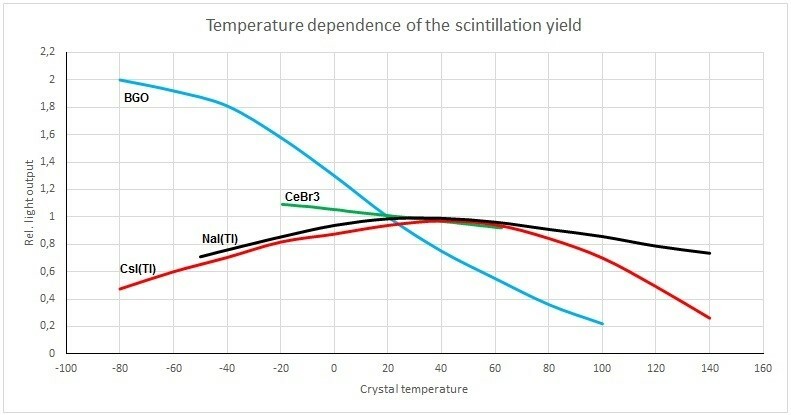 The temperature dependence of the Ce doped scintillators LBC, CeBr3 and YAP:Ce is significantly less than that of other scintillators. 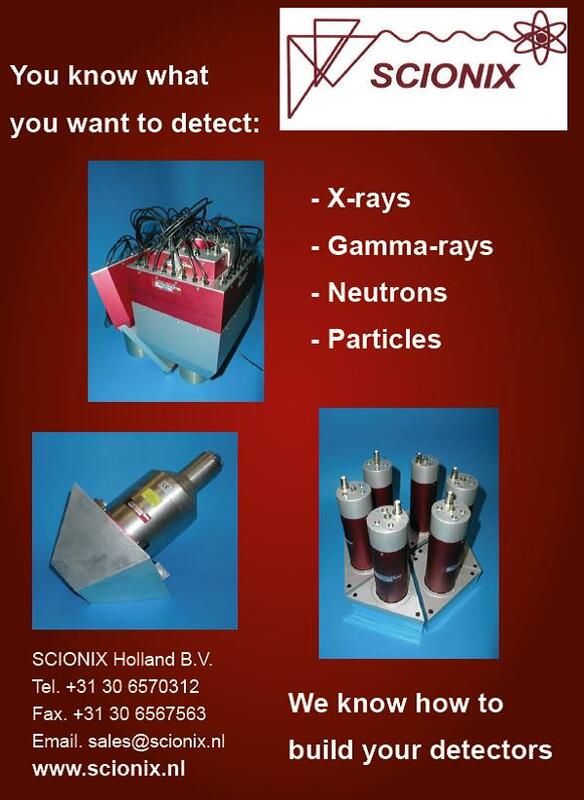 Which Scintillator For Your Application? 1. – What is the energy and type of the radiation to measure ? 2. – What is the expected count rate ? 3. – What are the experimental conditions (temperature, shock) ? 5 – What is its cost ? are very important in this respect to determine the optimum choice. SCIONIX will be happy to assist you in making the best , most cost effective decision for your application.